Literally translated to ‘Way of the Intercepting Fist’, Jeet Kune Do (JKD) is the art and philosophy behind Sijo Bruce Lee’s highly effective fighting system as taught to me by my instructors Sifu Nino Pilla and Si Gung Dan Inosanto. Mettle Academy students apply many of the JKD concepts and principles throughout all of our classes. Unlike many traditional martial arts, Jeet Kune Do students do not follow fixed patterns, but rather follow a guiding philosophy on how best to react to any given situation. Where Jeet Kune Do Concepts emphasise the ideas and principles behind Sijo Bruce’s fighting style, 'Jun Fan Gung Fu' combines a series of training techniques and movement patterns that were originally designed by Bruce Lee and Dan Inosanto to enhance a student’s natural attributes such as speed, focus, coordination, timing, strength and agility. 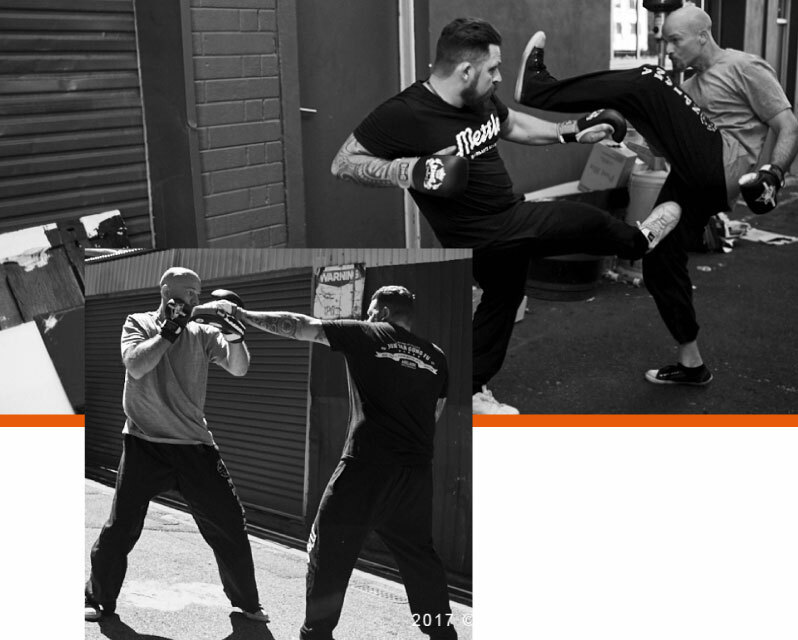 Mettle Academy students are well versed in each of the different ranges of combat and are recognised by their simple, direct approach to fighting. At the same time, each individual student expresses themselves in their own unique way - their own 'Jeet Kune Do'. Come and learn Bruce Lee's Jun Fan Gung Fu & Jeet Kune Do.